Nathan Olivarez-Giles and Fr. Robert Ballecer, SJ talk about what you need to know from Apple's WWDC 2017. We'll take a look at a new thermal camera for your phone, the FLIR ONE Pro, and talk to the company's project manager, Rebecca Potter. Jason Howell has a review of the Android Wear smartwatch, the Huawei Watch 2. Nate gives you a sneak peak into Nintendo's new fighting game on the Switch, ARMS. Megan Morrone is dipping her toes back into the Windows world, and she has a ... Maggiori informazioni tip on how to set up Windows Hello. We answer a 'Call for Help' about video editing on Windows 10. And we have another round of 'Game of Geeks' where Iain Thomson, Jason Calacanis, and Leo compete for the crown. All that and more. 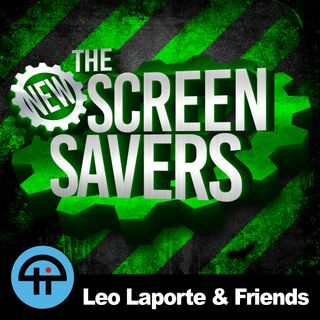 The New Screen Savers records live every Saturday at 3PM Pacific on twit.tv/live. Episodes are available for download and streaming later that evening at https://twit.tv/shows/new-screen-savers.Thanks to CacheFly for the bandwidth for this show.